This post is sponsored by BabbleBoxx and the brands featured below. Gift buying can be stressful! I want the gifts to be meaningful and something that is not only fun but useful in many ways! 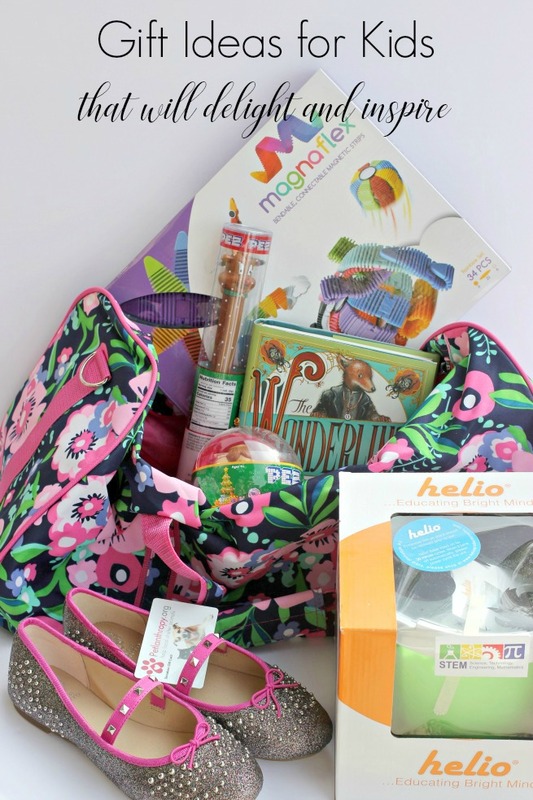 These gift ideas will delight and inspire kids! From STEM to giving back, these are all gifts that will go a very long ways and will be used throughout the year! These glitter ballet flats from Vince Camuto are absolutely beautiful. I love the bow on the toe and the studded details. The stretchy studded band is absolutely perfect and the glitter just has me swooning. They have a cushioned and comfortable insole. My daughter loves to put on a dress and wear pretty shoes. She just fell in love with the all the glitziness! These are the perfect shoe for any girl who loves to dazzle and shine! How perfect are these for holiday parties and events? 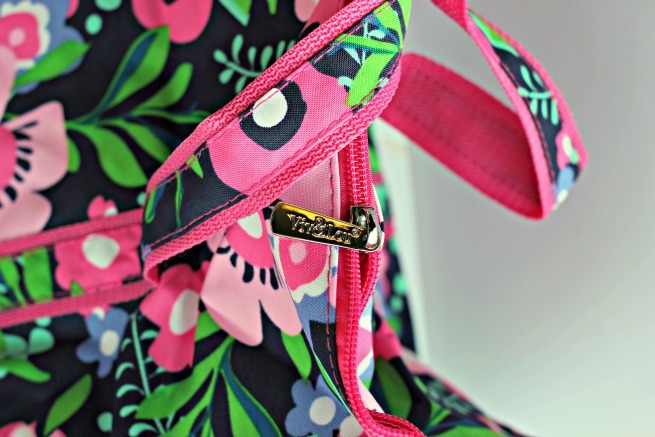 This kids' travel bag from Viv & Lou is absolutely gorgeous. And it's HUGE!!! I was surprised at how roomy it was. One of my goals for 2018 is to take more trips and in order to go on trips- a kid must have their own travel bag, right? 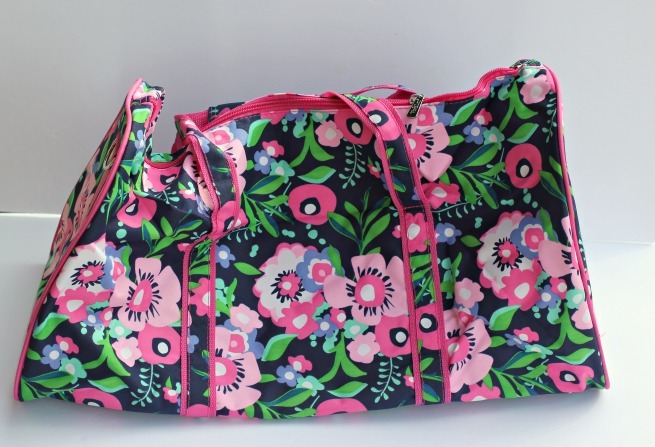 This bag is not only beautiful, it's practical. Any kid will LOVE one for Christmas! Visit Viv & Lou's website and use my special code "JAMIELOVES" and save 25%! P.S. You can also get your items personalized at Viv & Lou! I found a bag for myself to match my daughter's! 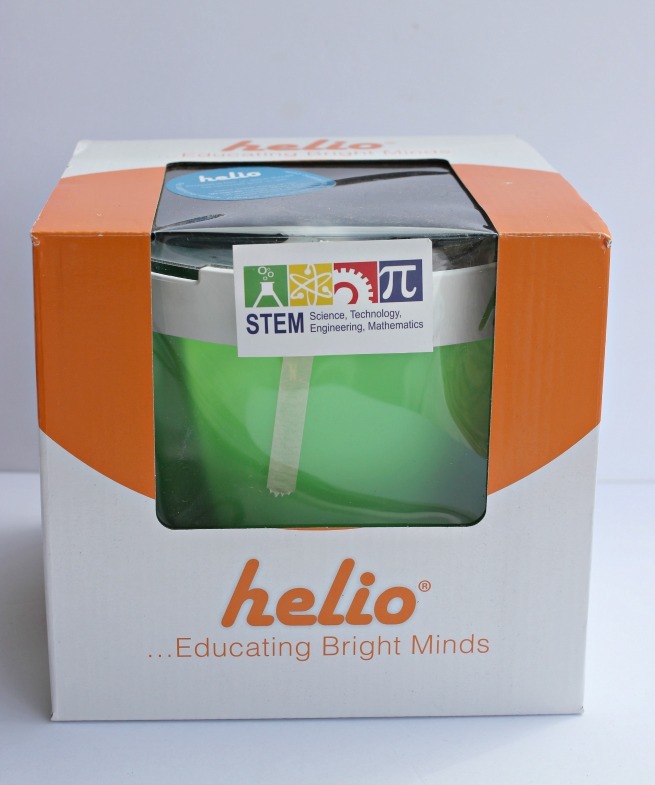 This projection system from Helio is seriously the coolest and will make a killer gift this year for your child. This is an educational AND calming night light that educates. It comes with multiple discs to unwind with. Want to see the constellation? Done! 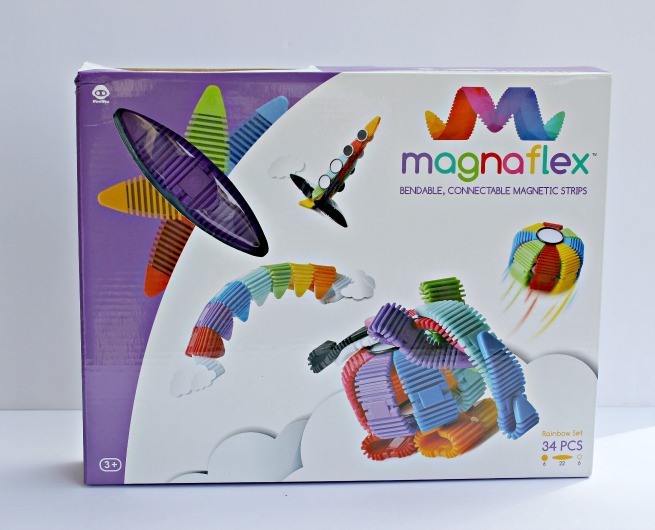 Click here for more information on Magnaflex and to purchase a kit! Have you heard of the tradition in Iceland called Jolabokaflod? It's a Yule Book Flood! On Christmas Eve, it's tradition to exchange books and read all night. Add chocolate, if you wish. As a bookworm, that's my kind of tradition. I have always felt that the gift of a good book is a book from the heart. 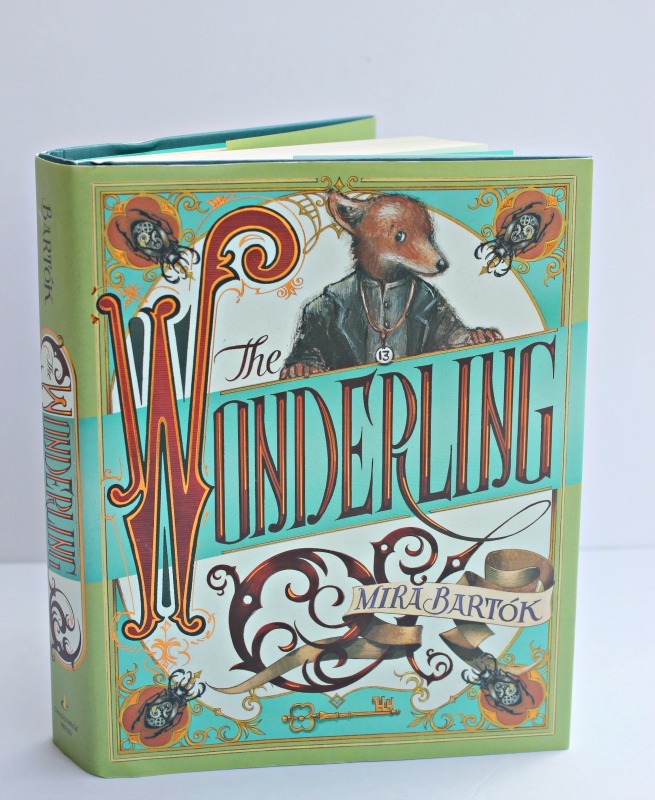 That is why gifting "The Wonderling" by Mira Bartok is a wonderful addition to this year's presents. A middle-grade fantasy novel that will delight children who appreciate a story full of adventure, friendship, and wonder! Head over to the Candlewick Press website and use the code "CANDLEWICK" to save 25% AND get free shipping! The best gift of all- is to give. In this case, helping animal shelters and animal projects that are near and dear with a Petlanthropy donation gift card! This is such an easy to donate and give back to those who give to animals who are unable to help themselves. This such a great stocking stuffer! 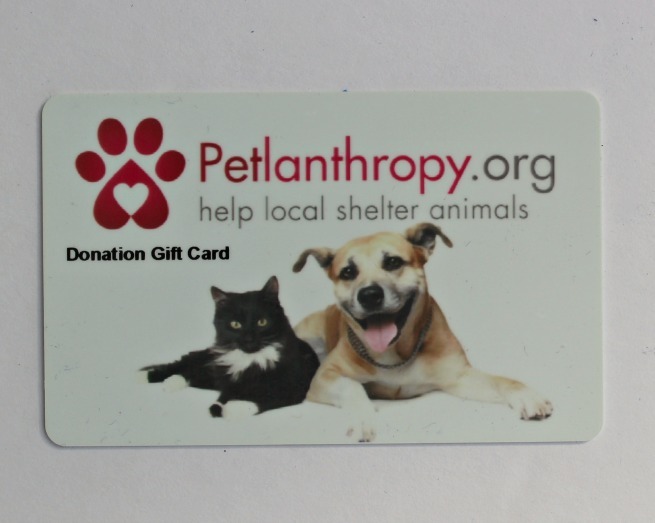 Purchase a donation card and then the recipient can go to Petlanthropy.org and pick the shelter or project to give the money to! Easy, peasy and a way for our kids to learn to help a good cause! I love, love, love putting little special gifts on the Christmas tree. Just little treats that serve as both an ornament and a treat like these adorable PEZ candy dispensers. I am a sucker for PEZ and I have such warm and fuzzy memories of collecting the dispensers and love passing these onto my daughter. 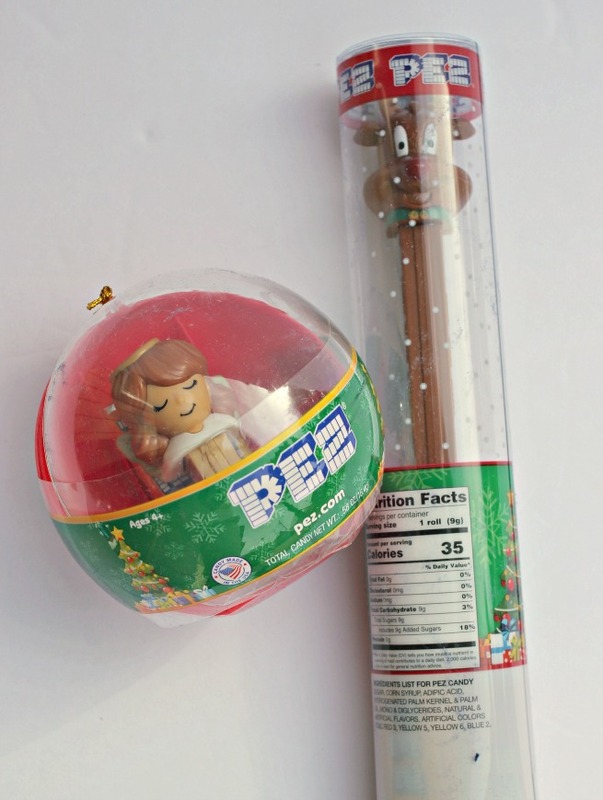 The ball ornament with the angel dispenser is so cute. The Reindeer tube is perfect for a stocking stuffer! 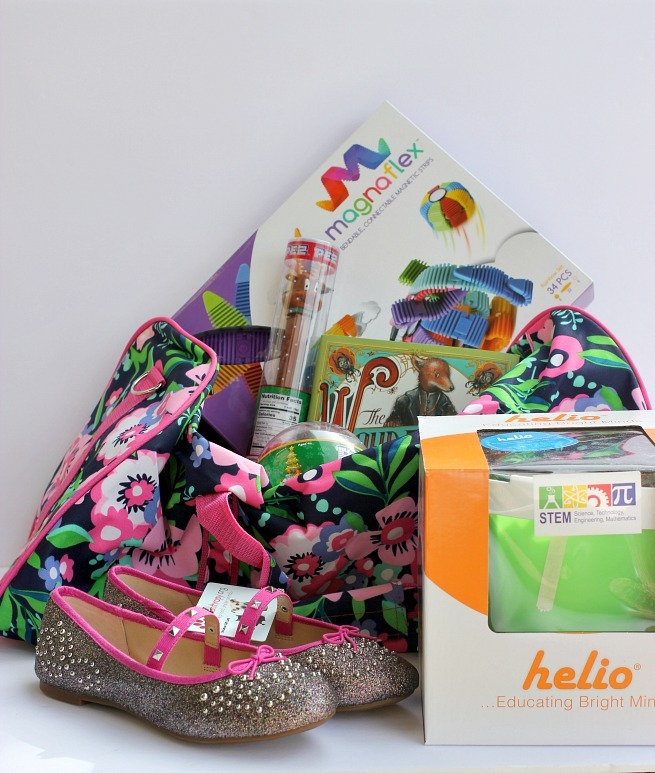 Which of these gifts would your kids like to receive for Christmas this year?